Watch brands launching their own direct to consumer e-commerce sites has rocked Britain’s retail community to the core. The brands have global reach, deep pockets to buy eyeballs via search engines and social media, and the choice of hogging limited and special edition watches that authorised dealers are desperate to secure. In the most extreme cases, brands even undercut their dealers on price. 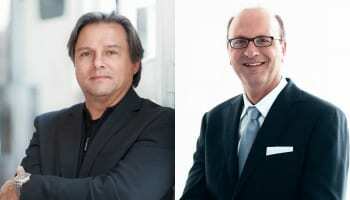 Little wonder, therefore, that when Meistersinger invited its American distributor, Duber Time, and owners of two of the watchmaker’s authorised dealers to Germany to unveil its new e-commerce strategy, there was considerable anxiety in the room. However, half an hour later and the owners of Right Time from Denver and Worthmore Jewelers from Atlanta, were look in reassured, and even excited at the Meistersinger plan. 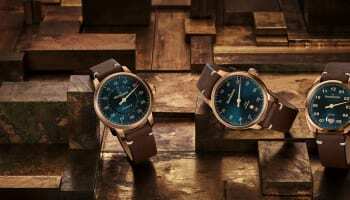 The e-commerce site, which Meistersinger will launch in Germany next year before creating an English language version for the UK and USA by the third quarter of next year, rewards its authorised dealers for every sale, irrespective of whether those dealers are involved. A prototype of the site showed how customers at Meistersinger.com can browse watches and add to basket in the usual way. At the checkout, they are offered the option for home delivery or to collect at their nearest authorised dealer, which is identified by the system recognising the location of the customer’s IP address. Dealers have mixed feelings about this click and collect model because, while customers co in into stores is always welcome, if it is only to pick up a pre-bought watch, the retailer becomes the sole point of contact if anything goes wrong, but has earned nothing from the transaction. 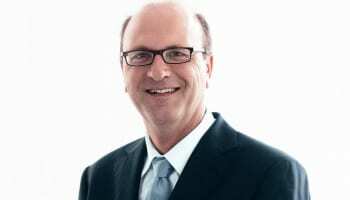 Meistersinger has listened to this concern, and will pay the authorised dealer closest to the customer a percentage of the purchase price, even if the customer choses home delivery; likely to be around 10% of the transaction value. This is combined with a promise never to undercut author I dealers on price. 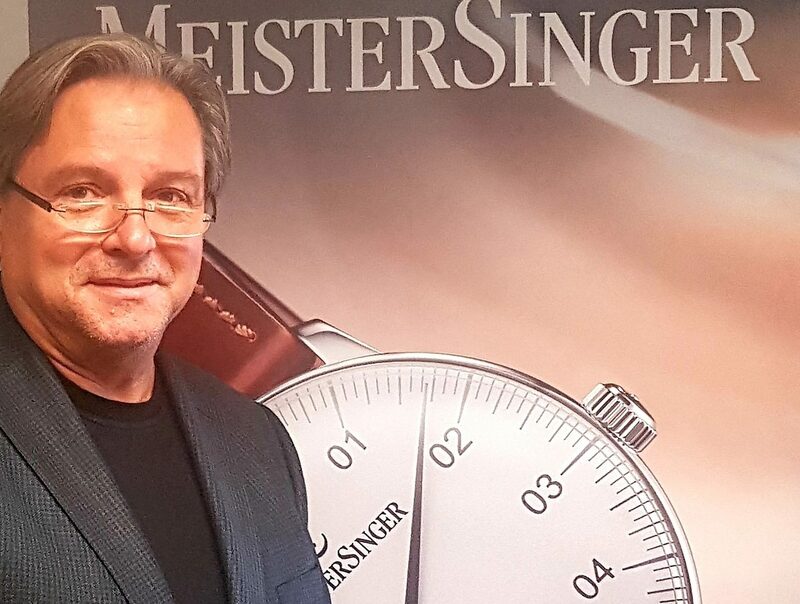 As Meistersinger CEO Manfred Brassler (pictured top) explains, the concept not only compensates retailers if customers buy direct from the brand, it also has two other advantages. First, retailers effectively profit from the sale of a far larger range of watches than they might want to stock themselves. 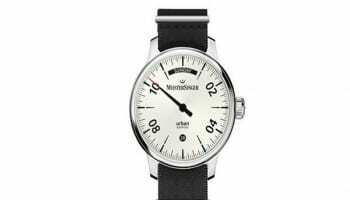 Older models and every SKU can be sold at Meistersinger.com, with dealers getting a cut and potentially getting to meet the customer. Secondly, it dramatically expands a dealer’s territorial reach. A Meistersinger in Birmingham will get a commission for every sale in central England, up to the point where the radius of its patch intersects with another dealer in, for example, Leeds. The intersection in this example would be a bit north of Nottingham. 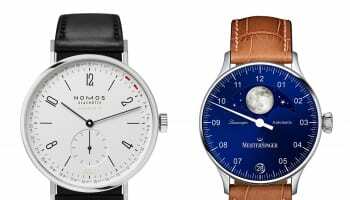 The Meistersinger idea is not yet ready for launch, and retailers’ feedback is still helping to refine it; another sign that the watch business places the greatest value on its long term partners.